Recently installed the Plugin NextGen Pro to enable the Nextgen Pro Lightbox this would work on some galleries and others it would just display the below. You will need to convert the powerpoint to a one page document in Word. Going through these with Search and Replace plugin was going to take ages , so I tried to look for a regex script. I can across the following , curtious of https://managewp.com/clean-link-injections-hacked-websites however this only looked for cetrain Div Tags. I needed something to remove Hyperlinks containing the above keywords. I modified the code to the below and placed into the functions.php file and ran with preview on then off and went through the keyword list. Cleared about 1000 links!! 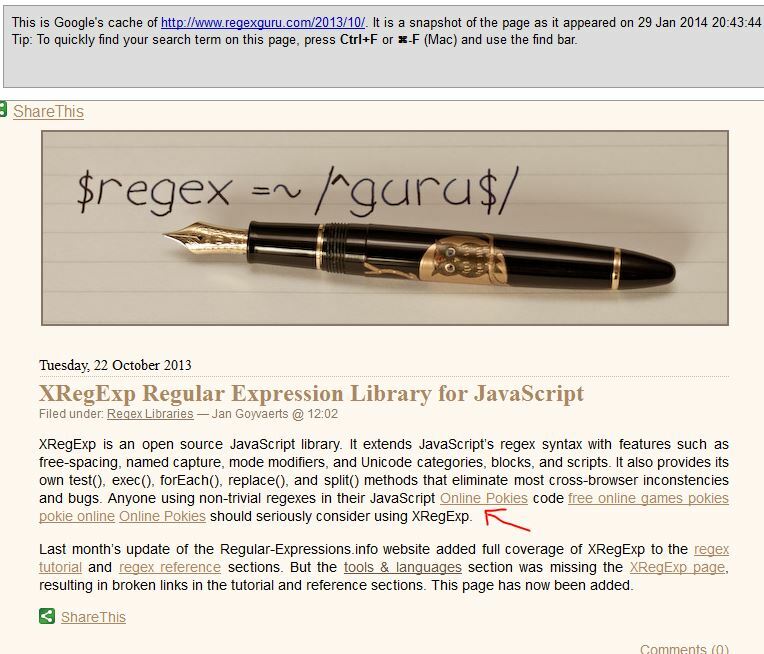 Upon searching for help with this , I did have to smile at the irony of the Regex Help Website being hacked in the same fashion , although obviously all clear now!